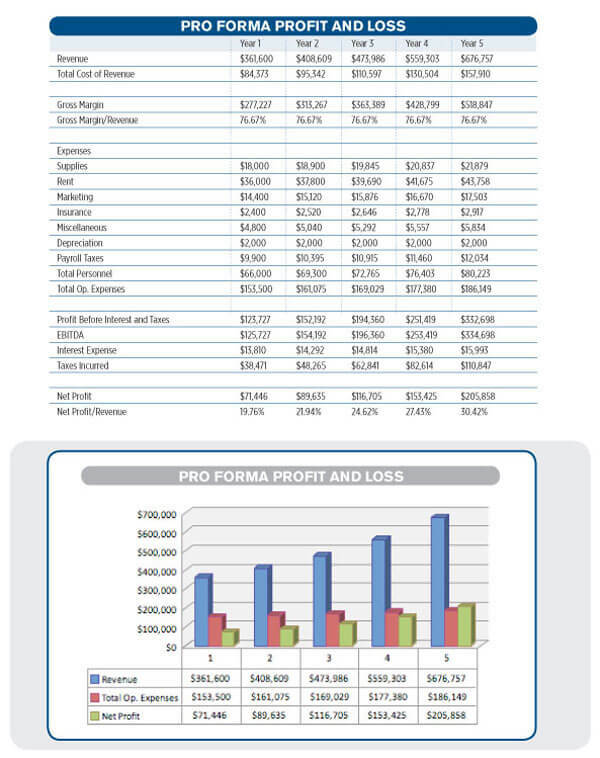 Profit & Loss Statement: A P&L is a company’s financial statement shows revenue recognized for a specific period of time less expenses. The purpose of the income statement is to show executives, banks, and investors whether the company made or lost money during the period being reported. 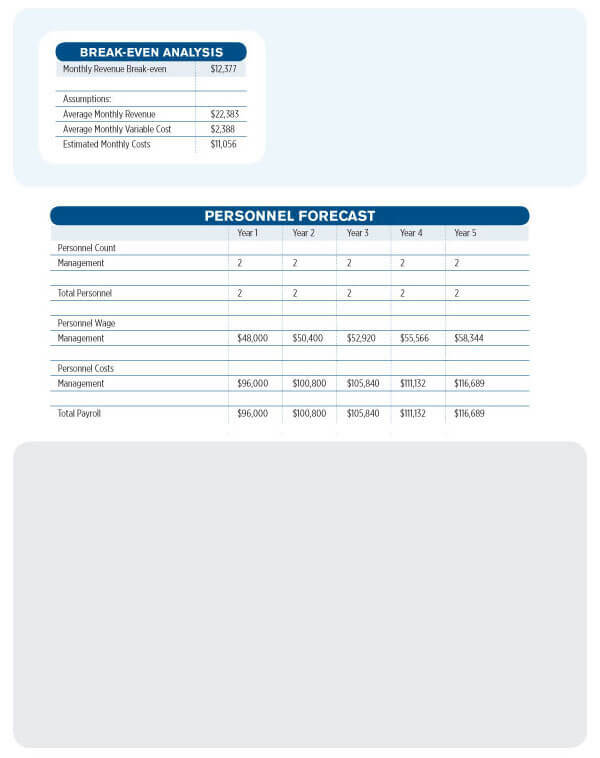 Revenue Forecast: A financial forecast of future outcomes for a company. 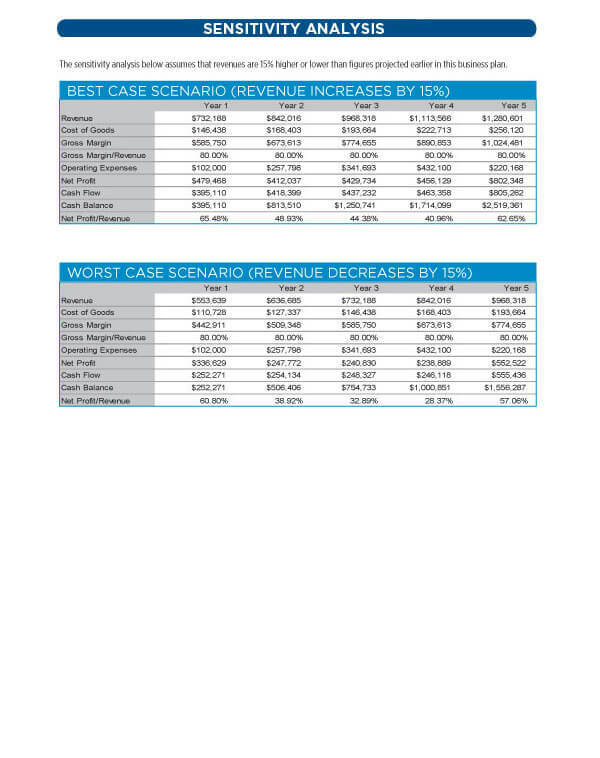 The revenue forecast is an educated guess on what will happen to a company in financial terms over the next five years. Balance Sheet : A balance sheet is a snapshot of a company’s financial condition. A standard company balance sheet has three parts: assets, liabilities and ownership equity. 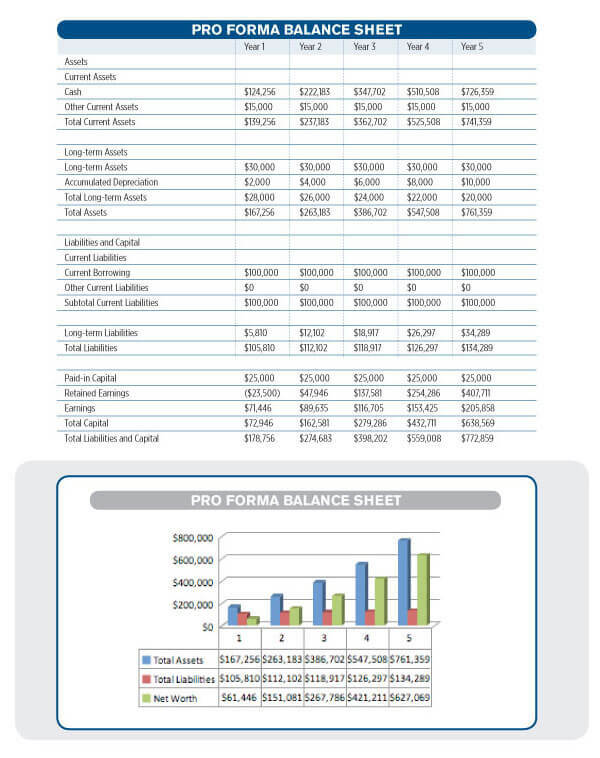 The balance sheet is the only financial statement that applies to a single point in time of a business’ calendar year. 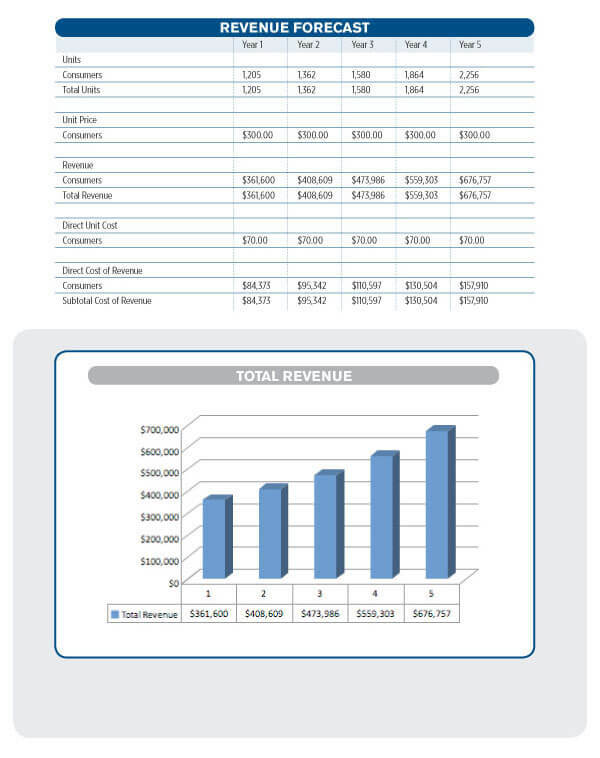 Break-Even Analysis : The break-even identifies the total revenue needed to cover the total costs. It is the point where the revenue and cost are equal, no gain and no loss. It is shown graphically, at the point where the total revenue and total cost curves meet. 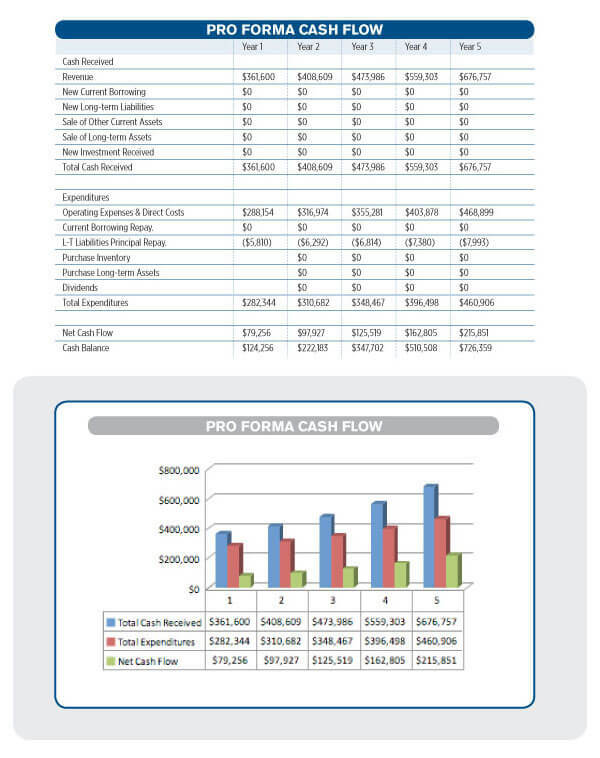 Cash Flow Statement : A Cash flow is the movement of money into or out of a business. It measures a specific range of time. Sensitivity Analysis : Is the study of how the variation of uncertainty in the output of a statistical model can be attributed to different variations in the inputs of the model. What is the “best” and “worst” case scenarios based on a set of variables.